Ghent's Fabric Wrapped Edge Bulletin Boards add style to offices, conference rooms, patient rooms and corridors while providing a sturdy tack surface for posters, announcements and other notices. The warm fabrics are color-fast and will remain free from damage even after years of repeated tacking. The soft radius corners and fabric-edge design make a tasteful addition to any décor. Backed by Ghent’s 10-year guarantee. Made in the USA and TAA Compliant. RB1824 Size: 1'6" H x 2' W Features: -Soft black vinyl trim is carefully fashioned to the curved edges of the melamine surface. -Factory mounted hangers. -Radius design. -Made in USA. Product Type: -Chalkboard. Mount Type: -Wall Mounted. Application: -Retail. Color: -Black. Country of Manufacture: -United States. Surface Material: -Melamine/Vinyl. Frame Type: -Unframed. Size 11" H x 1'2" W - Size: -Mini - Up to 2'. Size 2' H x 3' W - Size: -Small 2' - 4'. Dimensions: Overall Height - Top to Bottom: -3". Size 11" H x 1'2" W - Overall Length - Side to Side: -14". Size 1'6" H x 2' W - Overall Length - Side to Side: -24". Size 2' H x 3' W - Overall Length - Side to Side: -36". Size 2' H x 3' W - Overall Product Weight: -6 lbs. Size 3' H x 4' W - Overall Length - Side to Side: -48". 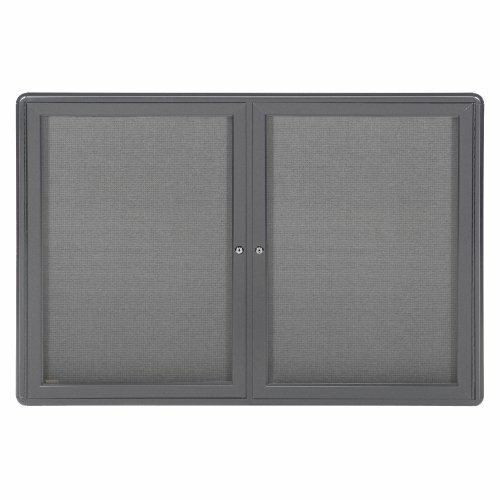 Ghent's Ovation Enclosed Fabric Tackboards feature powder-coated aluminum framing in a black or gray matte finish with decorative radius corners. The doors feature full-length hinges, shatter-resistant acrylic panels and flush mount locks and keys for added security. The decorative fabric tack surface is fade-resistant and will hold up under even the most demanding use. Units feature concealed corner brackets for easy and secure mounting. Non-illuminated optional name headers are also available. Backed by Ghent's 10-year guarantee. 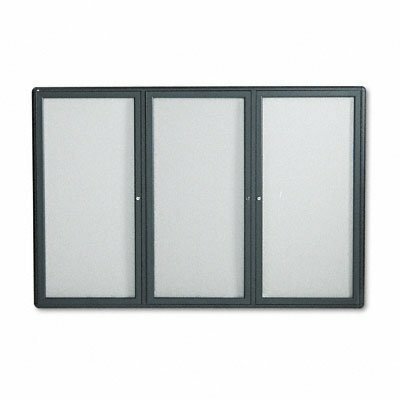 Ghent's Ovation Enclosed Fabric Tack boards feature powder-coated aluminum framing with decorative radius corners. The doors feature full-length hinges, shatter-resistant acrylic panels and flush mount locks and keys for added security. The decorative fabric tack surface is fade-resistant and will hold up under even the most demanding use. Units feature concealed corner brackets for easy and secure mounting. Backed by Ghent’s 10-year guarantee. Made in the USA and TAA compliant. Cintra Radial Edge Euro-Style Natural Cork Designer Tackboards offer the durability of Ghent's natural cork with the updated styling demanded by today's office environments. With a self-healing natural cork posting surface and satin aluminum radius edge, Cintra style boards are the perfect look for any setting. Boards can be mounted either portrait or landscape with a secure concealed hanging system. Cintra boards are backed by Ghent's 10-year guarantee. Ghent fabric wrapped edge bulletin boards add style to offices, conference rooms, Patient rooms and corridors while providing a sturdy tack surface for posters, announcements and other notices. The warm Fabrics are color-fast and will remain free from damage even after years of repeated tacking. The soft radius corners and fabric-edge design make a tasteful addition to any decor. Backed by Ghent 10-Year guarantee. Made in the USA and TAA compliant. 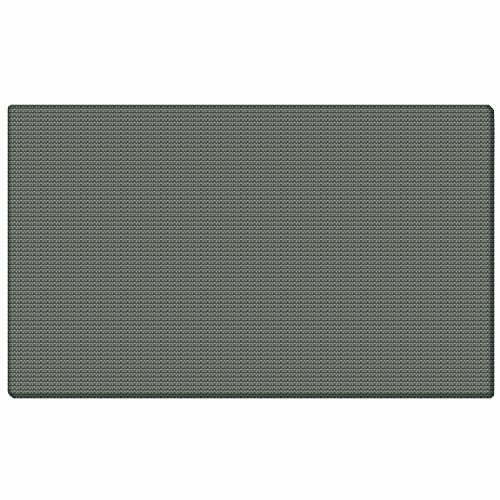 FC4060029 Surface Color: Light Gray-29, Size: 4' H x 6' W Features: -Radius cornering for ultimate style. 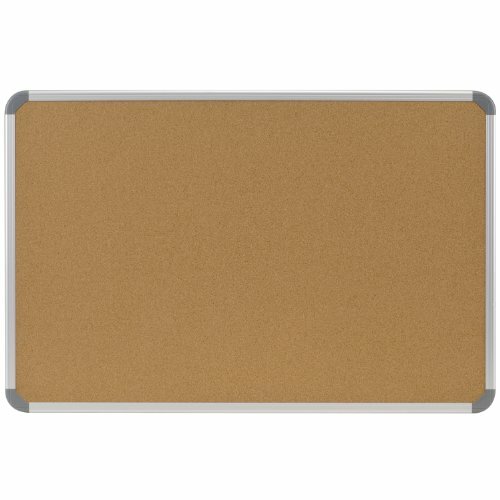 -Rugged burlap covering 3/8'' fiberboard with stiffeners. -Wrapped Edge. Product Type: -Bulletin board. Mount Type: -Wall Mounted. Application: -Home. Country of Manufacture: -United States. Surface Material: -Fabric. Frame Type: -Unframed. Size 1'6" H x 2' W - Size: -Mini - Up to 2'. Size 2'10" H x 4' W - Size: -Small 2' - 4'. Size 3'6" H x 5' W - Size: -Medium 4' - 6'. Dimensions: Overall Height - Top to Bottom: -4". Size 1'6" H x 2' W - Overall Length - Side to Side: -24". Size 1'6" H x 2' W - Overall Product Weight: -5 lbs. Size 2' H x 3' W - Overall Length - Side to Side: -36". Size 2'10" H x 4' W - Overall Length - Side to Side: -45.5". Size 3'6" H x 5' W - Overall Length - Side to Side: -60". Size 4' H x 6' W - Overall Product Weight: -45 lbs. Cintra Radial Edge Euro-Style Natural Cork Designer Bulletin Boards offer the durability of Ghent's natural cork with the updated styling demanded by today's office environments. With a self-healing natural cork posting surface and satin aluminum radius edge, Cintra style boards are the perfect look for any setting. Boards can be mounted either portrait or landscape with a secure concealed hanging system. Cintra boards are backed by Ghent's 10-year guarantee. A smart, contemporary way to post and protect information. Gray fabric-covered surface provides resilient tacking area. Clear acrylic window ensures visibility for your message while locking doors secure documents in place. 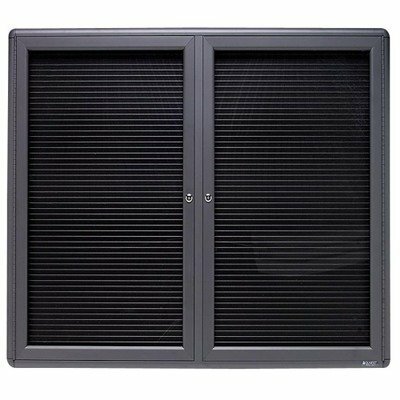 Radius-edged, powder-coated aluminum frame adds strength, style and durability. Full-length piano hinges make opening and closing smooth. INCLUDES security mounting hardware and one key per lock. 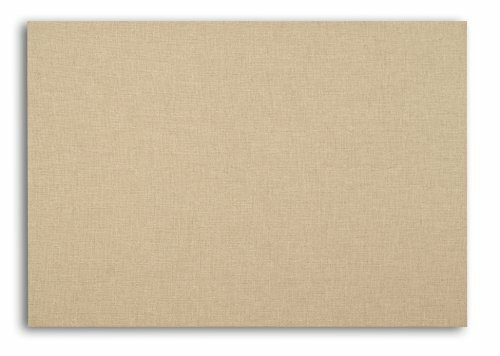 FC4060026 Color Code: Dusk-26, Size: 4' x 6' Features: -Radius cornering for ultimate style.-Rugged burlap covering 3/8'' fiberboard with stiffeners. Color/Finish: -Burlap fabric offered in 8 brilliant colors. Warranty: -10-Year warranty. FC3040024 Color Code: Sage-24, Size: 2' 9.5" x 3' 9.5"' Features: -Radius cornering for ultimate style.-Rugged burlap covering 3/8'' fiberboard with stiffeners. Color/Finish: -Burlap fabric offered in 8 brilliant colors. Warranty: -10-Year warranty. FC4060024 Color Code: Sage-24, Size: 4' x 6' Features: -Radius cornering for ultimate style.-Rugged burlap covering 3/8'' fiberboard with stiffeners. Color/Finish: -Burlap fabric offered in 8 brilliant colors. Warranty: -10-Year warranty. 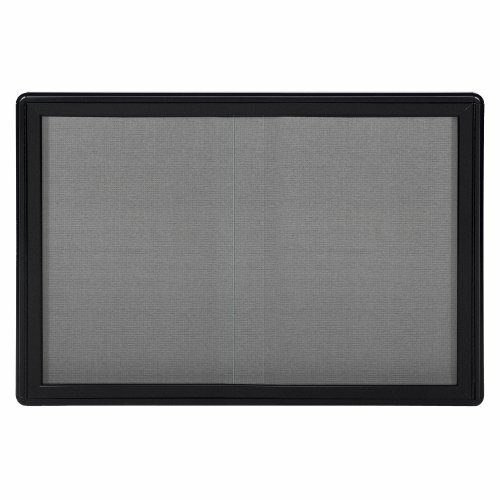 Display directories, schedules or information on indoor magnetic directory. 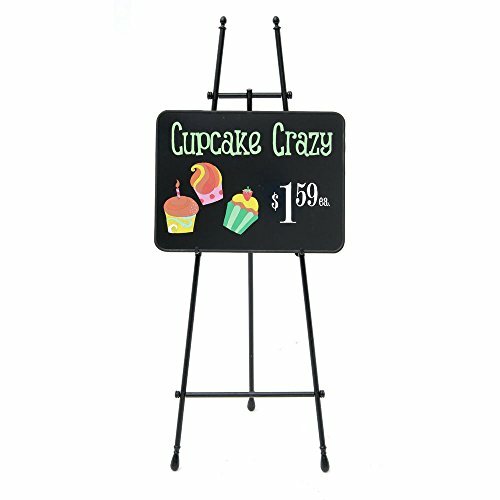 Set up, update and change postings quickly and easily with magnetic letters sold separately. Shatterproof acrylic windows and locking doors protect your postings. Contemporary radius-edge aluminum frame with graphite finish adds style and durability. 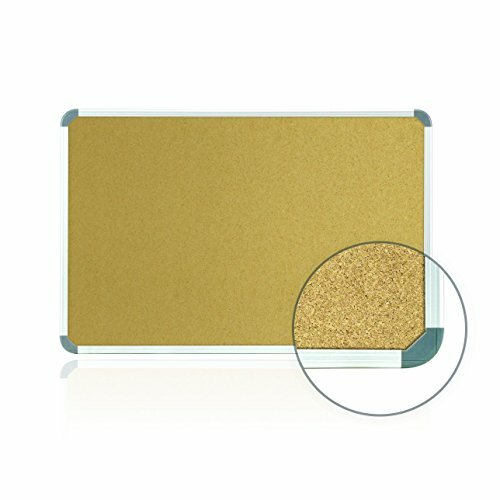 Board Type: Letterboard Board Width: 48amp;quot; Board Height: 36amp;quot; Surface Material: Felt. 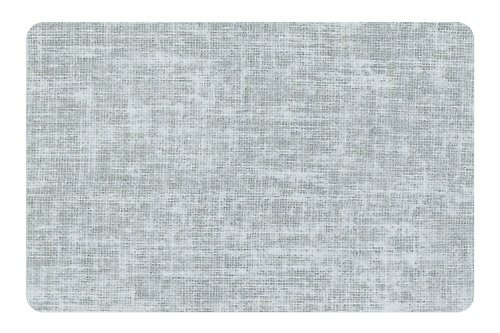 FC3040026 Color Code: Dusk-26, Size: 2' 9.5" x 3' 9.5"' Features: -Radius cornering for ultimate style.-Rugged burlap covering 3/8'' fiberboard with stiffeners. Color/Finish: -Burlap fabric offered in 8 brilliant colors. Warranty: -10-Year warranty. FC1820026 Color Code: Dusk-26, Size: 1.5' x 2' Features: -Radius cornering for ultimate style.-Rugged burlap covering 3/8'' fiberboard with stiffeners. Color/Finish: -Burlap fabric offered in 8 brilliant colors. Warranty: -10-Year warranty. FC1820024 Color Code: Sage-24, Size: 1.5' x 2' Features: -Radius cornering for ultimate style.-Rugged burlap covering 3/8'' fiberboard with stiffeners. Color/Finish: -Burlap fabric offered in 8 brilliant colors. Warranty: -10-Year warranty.